Happy Friday Everyone!!! This has been such a crazy week so I just thought I'd end this week with a light post on the big happenings of next week--- premiere week!!! ('kinda like my TIFF- really but not really) ) Summer has been great! We spent lots of time with friends and outdoors. However, with cooler nights, routines, school, bedtimes and life getting back to normal I CANNOT WAIT for my shows to begin! It's my quality time with D, watching our shows and sipping some peppermint tea! Here are a few of my favourites that I'm looking forward to this September. Let me preface this by saying I'm a mainstream kind of girl.... Mine is good old' fashioned regular TV. Oh my goodness- this is great TV! The drama, the cases, the human relationships, the power struggles with a little mystery thrown in. How shocking was it with what happened to Will?! And the whole forming the new law firm! 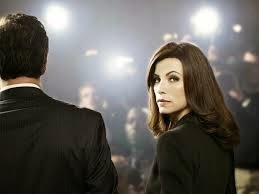 I got on The Good Wife band-wagon a little late- I think it was two years ago. I started watching some episodes from the beginning and then became hooked. I even got D into it! I can't wait to see what happens with who's running for the DA's office and if Alicia/Carrie's firm lasts and gets Diane. Seriously quality TV! I am a huge Shonda fan! I loved Private Practice when it was on and watched every.single.episode. I love Grey's. Those characters have certainly grown on me and I really want to see what's in store for them next. I'm invested, you know? I also like Scandal but I find that the darkness in the characters scare me a bit. I like my people complicated but good! Another one I started late. I watched the whole of last season and then realised that it was really great TV. Can you not wait to see what happens with Amber and the baby and with Ray and Lorelei--hehehe! And apparently (spoiler alert) there's a death in the family too in this final season. Eeek! I am loving Mindy. She is so clueless, sweet and self absorbed at the same time, it's unbelievable. And I am so glad that she's with Danny. THis one has apparently started already so guess I have to catch up! I was sad to see Sherri get fired but curious to see how the new panel of the view interacted and what the new show brings. I must say that I am really liking it so far. Back in the day, I would watch The View everyday (I recorded it when I was at work) and I really loved the intelligent conversations. Over the course of the last few years, it definitely changed and I kind of stopped watching it daily. This new panel is very smart and very opinionated but I'm enjoying it so far. Lots others that I love. Of course, Modern Family is excellent! We love Nashville and simply cannot wait for Mad Men next year. I think I'm going to start watching Once Upon a Time with D too. And what about Dancing with the Stars? Isn't Alfonso Ribiero so entertaining? 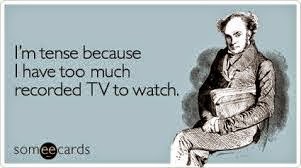 So yes, I confess, I watch lots of TV! I do have a PVR though so I watch the shows in half the time! Unless I'm with C, who loves commercials! What about you? What shows are you into? Any suggestions on others I should watch? Have a fun weekend ! 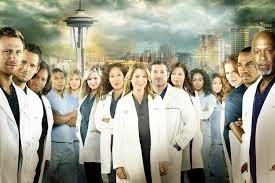 I love Grey's! It's ridiculous how caught up I get in it. We LOVE Parenthood!!! So sad its the last season! 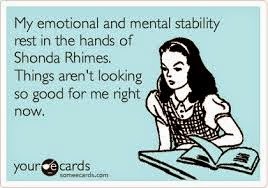 I need to catch up on Greys...& Mindy...& Parenthood ha. Stopping by from the link-up...and I've got to suggest you watch "Nashville." I've been anxiously awaiting next week's premiere ALL.SUMMER.LONG! I am so sad Grey's and Parenthood are ending!! Love both those shows. Thanks so much for stopping by my blog! I don't get into too much TV, right now the hubs and I are watching all of the Breaking Bad series....it's a little dark for me...lol. Lol to that quote, girl! So true!! I am looking forward to Revenge and Scandal! I'm also trying to catch up on last season of Once Upon a Time to get caught up before the premiere. Another show I'm looking forward to is Shonda Rimes How to Get Away with Murder. She's so talented I'm sure the show will be very interesting! I haven't seen these shows but I'll have to look into them. I love Big Bang Theory and Once Upon a Time! YES to Parenthood! So excited for it to come back! 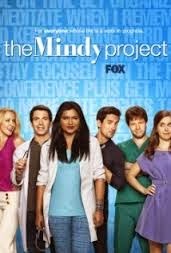 I don't watch any of the others, but I've heard great things about The Good Wife and The Mindy Project. I've been meaning to watch Parenthood. Haven't seen a single episode, but I've heard good things and I like the actors and the previews look good. Will have to catch up and give it a try. I'm also looking forward to Amazing Race - love that show! SO excited for premiere week too!!! Thanks for linking up gal! Goodbye summer and hello new blog name?! The great purge--- cleaning out my kids' closets! All about my kindergarten kid! An American girl kind of girl? Labour Day Weekend into no-spend september!